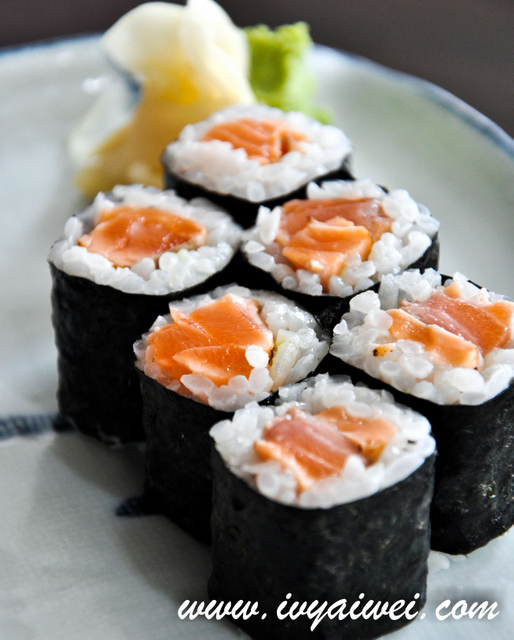 I want something fresh and yummy for the day, said Dad. 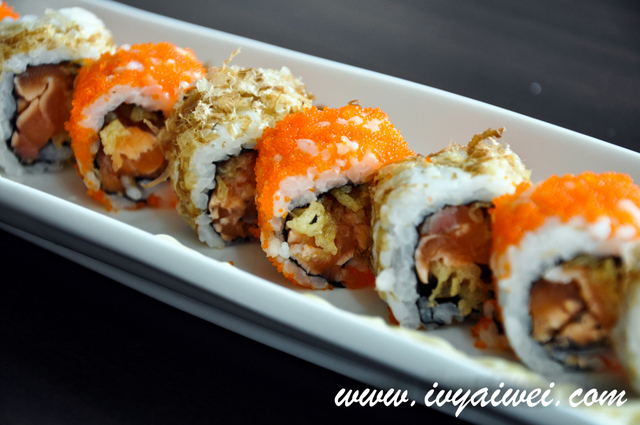 Japanese food is always our all time favourite when it comes to cuisine type. 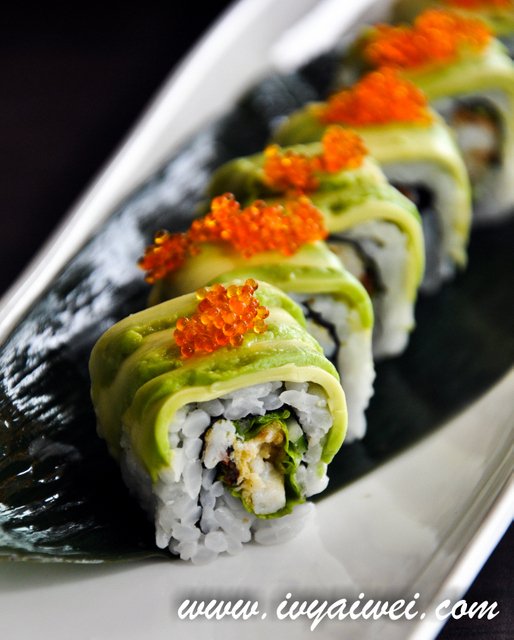 We heart the freshness of the ingredients, the lightness of the food as well as the chef’s effort in presenting his work in every dish. On my dad’s birthday, I brought my family over to enjoy a lavish birthday lunch. 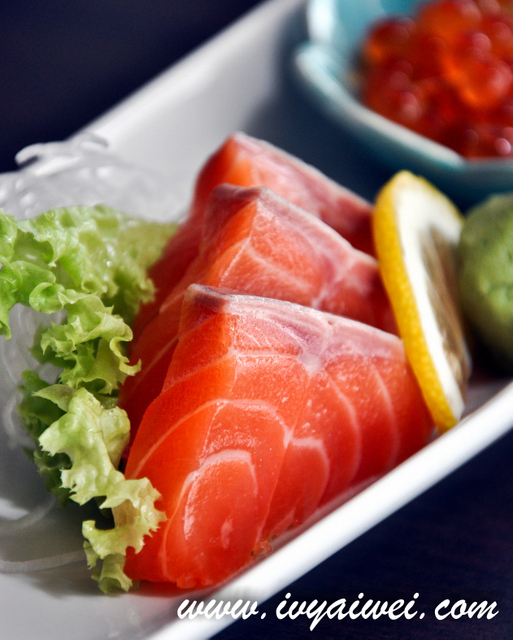 Mikan Japanese Cuisine & Bistro; a restaurant serving authentic Japanese cuisine is located inside Maju Junction Mall (opposite tune hotel) is the place for the day. 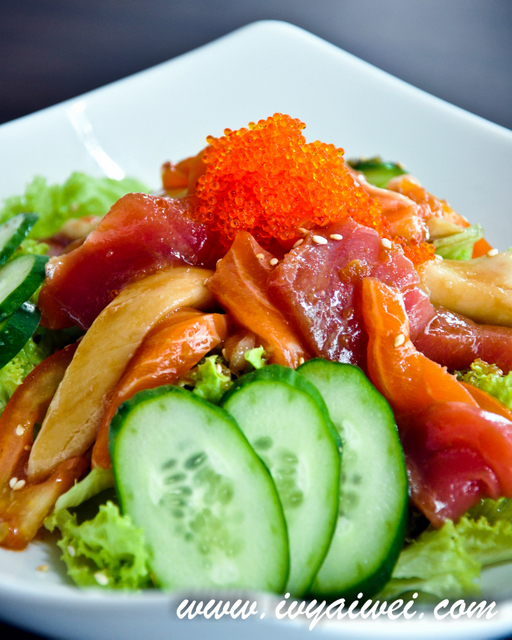 Salad with fresh sashimi slices and drenched with wafu dressing was indeed a great appetizer to start off with. Refreshing! 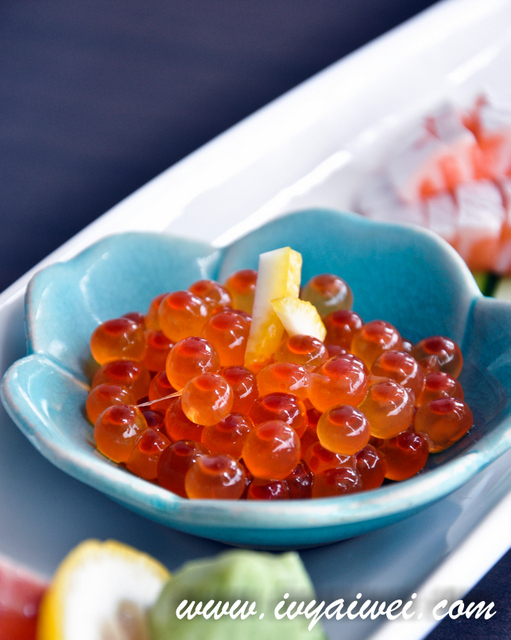 Came with salmon sashimi, salmon roe and salmon belly. Fresh, very fresh, they were all very fresh and juicy. 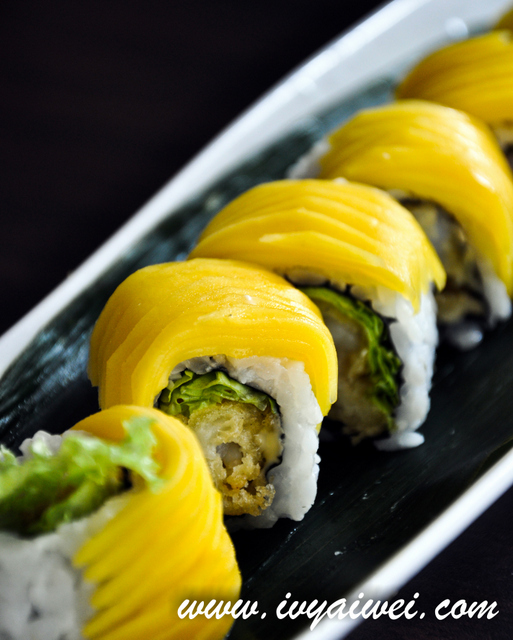 Topped with prettily sliced mango, the sweet and sourish mango slices gave a tangy hint to the sushi rolls. 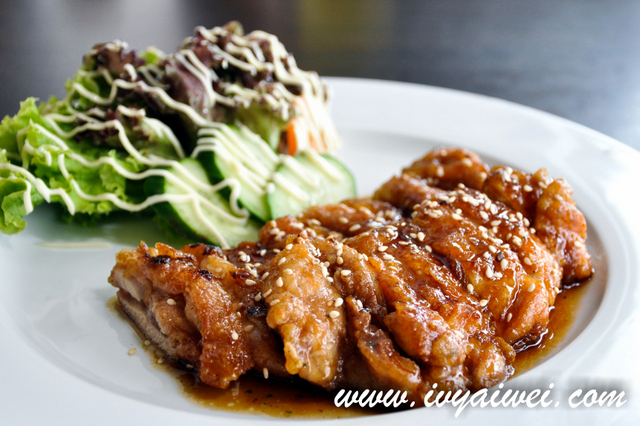 Pan fried chicken with teriyaki sauce. 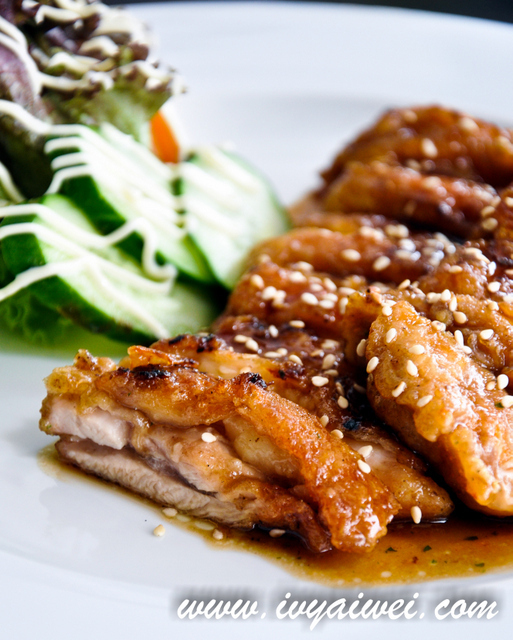 Love the crispy skin that drenched with the sweet teriyaki sauce and touched with white sesame. 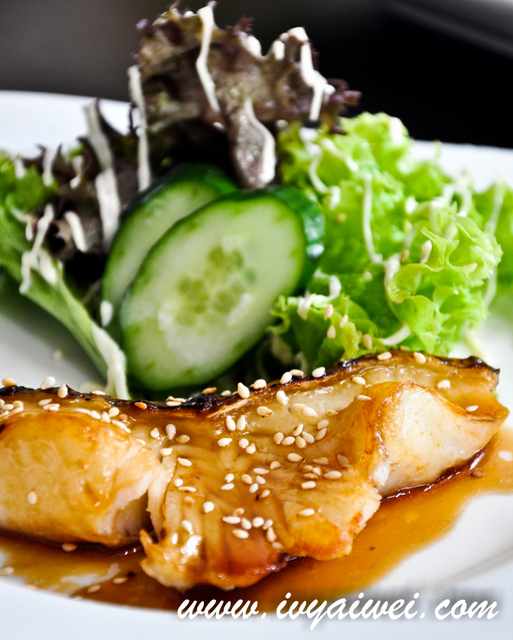 Grilled cod with Teriyaki sauce. 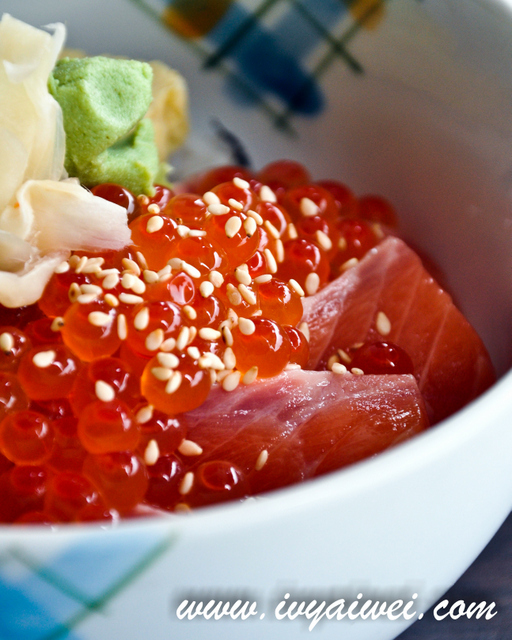 Love the sweetness of the fish. 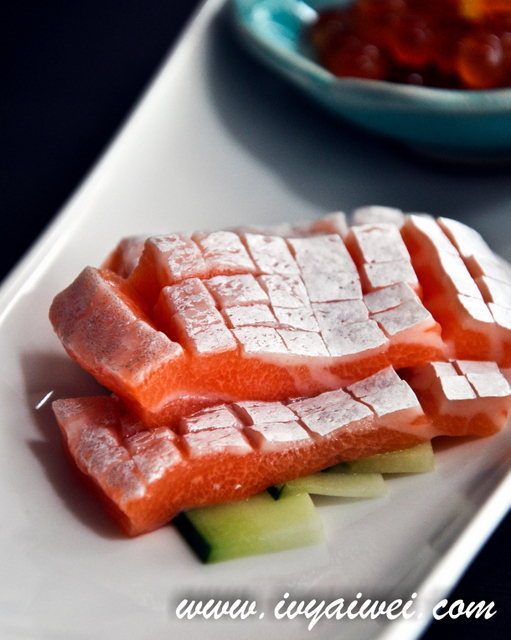 Brimmed with lots of salmon roe and sashimi slices; the sesame did the magic onto them too! 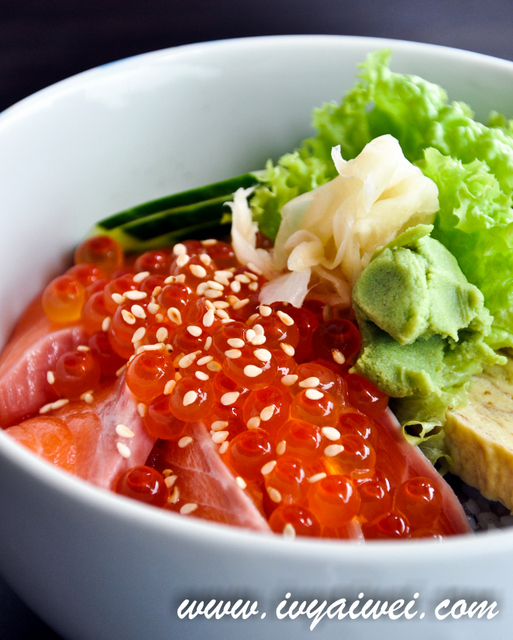 Every mouthful of rice was ended with the freshness of the sashimi, and salty touch of the roe and a fragrant hint of roasted white sesame. Don’t you just love the reddish bits? Another must order, I would say. 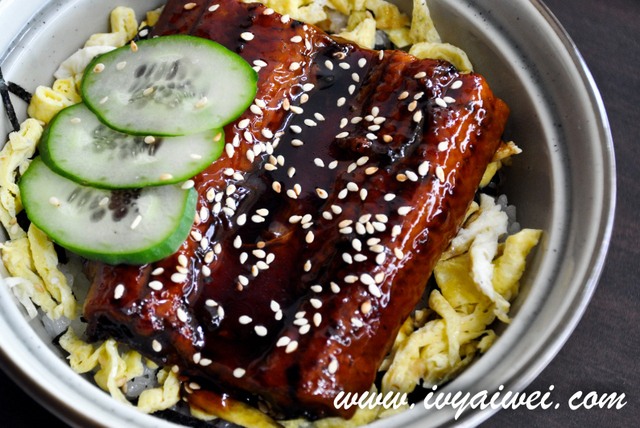 Thick slice of eel, perfectly done and drizzled with their special unagi sauce on a bed of shredded fried eggs and fluffy pearl rice. 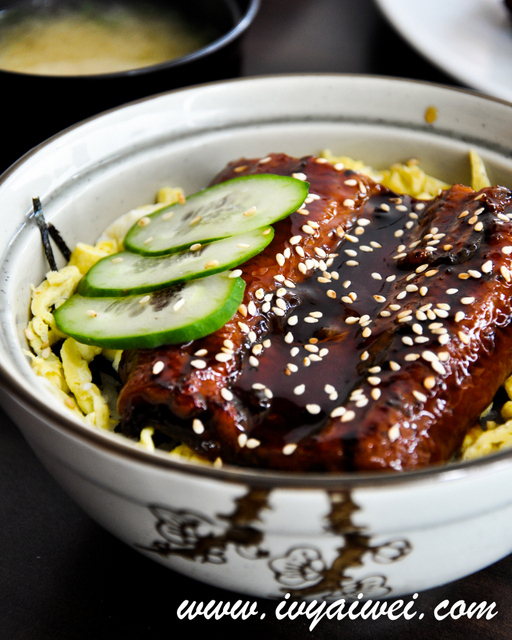 Their don(s) come with miso soup with tofu and konbu. A perfect sweet ending. I thought the azuki beans may be sweet, very sweet. To my surprise, it was not, at all! 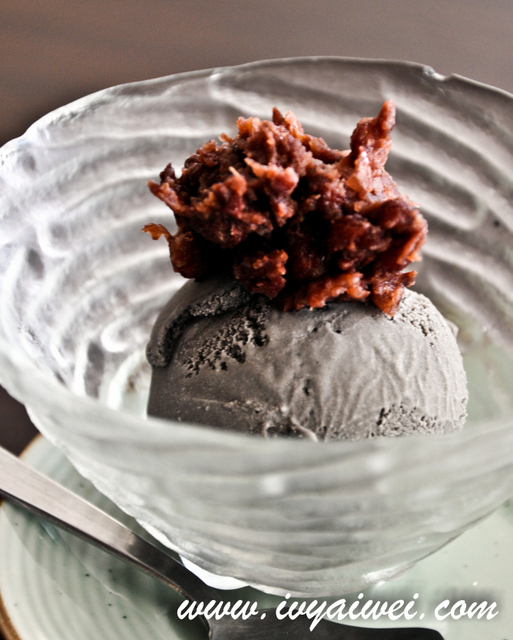 There was this slight salty hint from the red beans that blend so well with the black sesame ice cream. 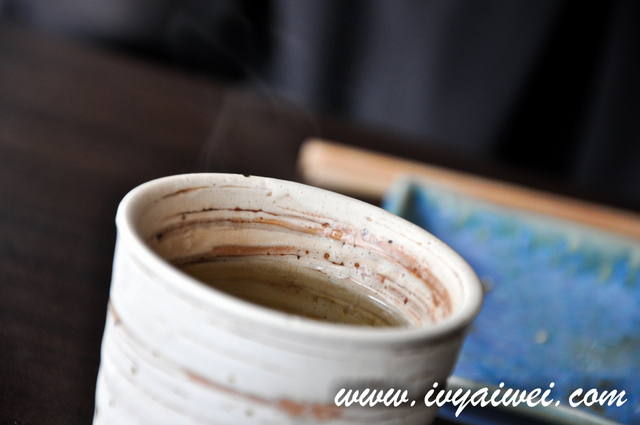 Yes, a new Jap place I heart. 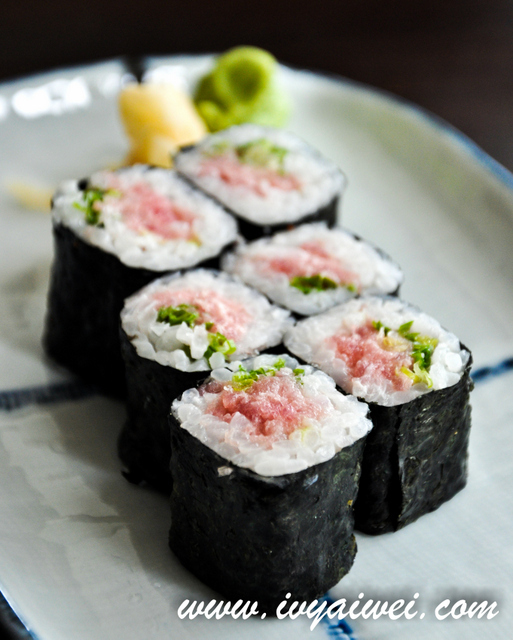 I just had Japanese last weekend, now I’m craving for it again! Argh! mine was good e! every dish were done so nice and perfectly. not to mention, very fresh too!!! Food looks good! I saw they are having a deal at livingsocial.com. their food is good. i just love it. and ya, i saw the living social deal too!